New York (TADIAS) — When Major Bishane Whitmore, an Ethiopian American U.S. military officer, graduated last week with a Masters of Military Art and Science (MMAS) from the Army Command and General Staff College (CGSC) in Fort Leavenworth, Kansas, he had a special family member in attendance all the way from Addis Ababa, Ethiopia who was also recognized at the commencement — his 96-year-old grandfather, retired Ethiopian General Tilahun Bishane, who had graduated from the same military school 46 years earlier as one of the institution’s first international students from Ethiopia. 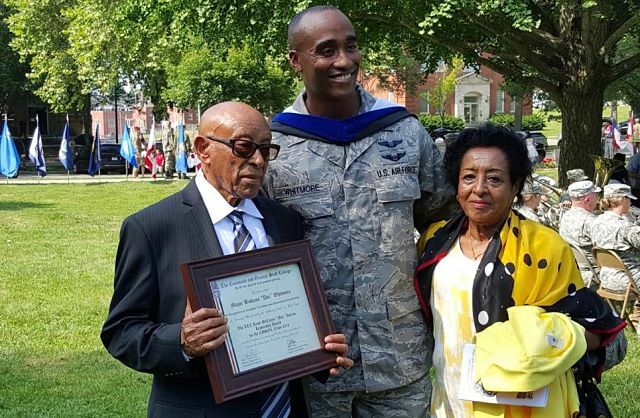 At the ceremony the proud Ethiopian grandfather witnessed his American grandson receive not only a graduate degree in Military Art and Science, but also being honored as the top leadership student, from 1305 joint and international students, as the recipient of the Lieutenant Colonel Boyd McCanna Harris leadership award and an Art of War Scholar. 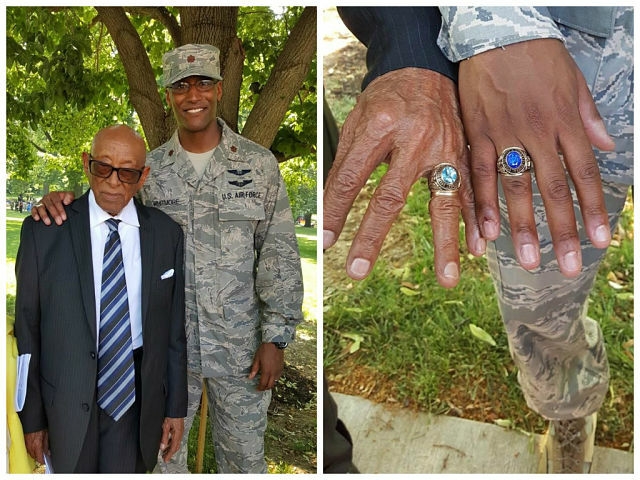 His grandfather is a World War II hero of the Italian-Ethiopian war during which he provided medical assistance to wounded Ethiopian soldiers as a young dresser in his teenage years. He later served as the Director of the Army Medical Center in Ethiopia for 25 years. Prior to that, after independence from Italian occupation, General Tilahun attended Ethiopia’s Holeta Military Academy, where he completed his studies with distinction, and went on to attend Beirut American University where he graduated in Public and Military Health. According to family members General Tilahun Bishane was born in Harar province in the city of Jijiga some 96 years ago in the Eastern part of Ethiopia. 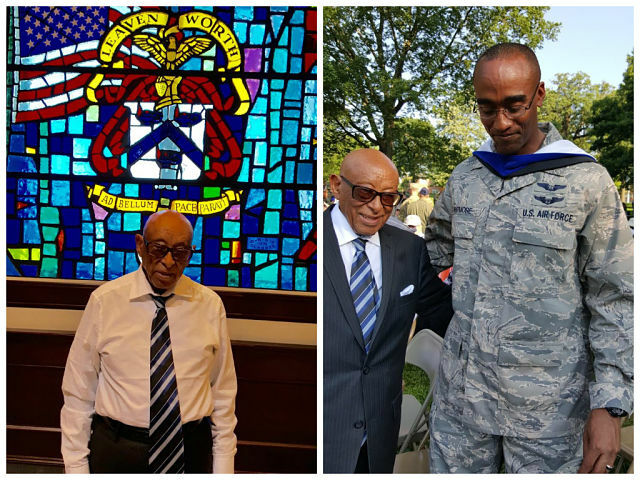 During his long career as the Director of Ethiopia’s Army Medical Center, he was instrumental in recruiting and sending young medical doctors abroad and having them serve the Ethiopian Army. 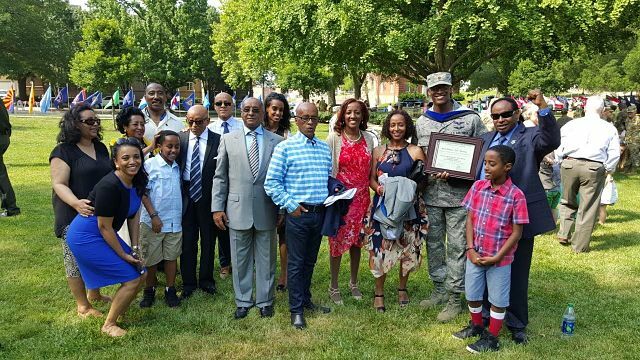 Due to the cordial relationship that Ethiopia had with USA at the time, he was able to attend Army Command and General Staff College (CGSC) in Leavenworth, KS in 1968. Immediately after his return to Ethiopia he was named Brigadier General by Emperor Haile Selassie. He served at the 3rd Army Division in Harar as well as in Eritrea. Two years after the start of the Marxist revolution, he asked for retirement and was approved in 1976. In his retirement age General Tilahun Bishane served as an Ethiopian Red Cross volunteer for over four decades, and became the recipient of Red Cross’ highest volunteer award. 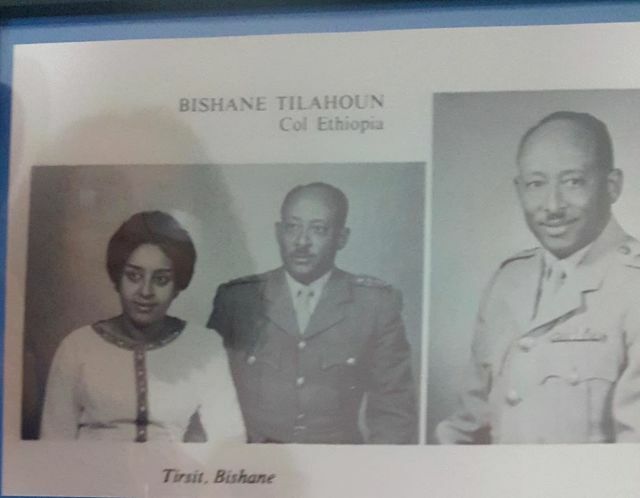 Photo from General Tilahun Bishane’s yearbook at Army Command and General Staff College (CGSC).